← A Song that really gets it. And gives it. The French left signs of their feelings along the march today. 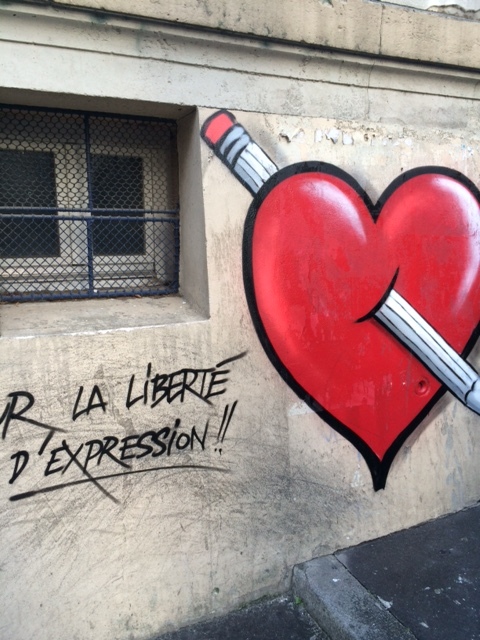 A gifted graphic artist must have created the second one because it really conveys the emotion evoked by the killing of the Charlie-Hebdo artists and protectors. 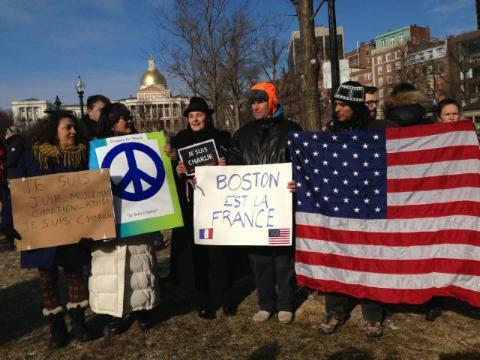 And below are two shots of the Boston rally to support the French. 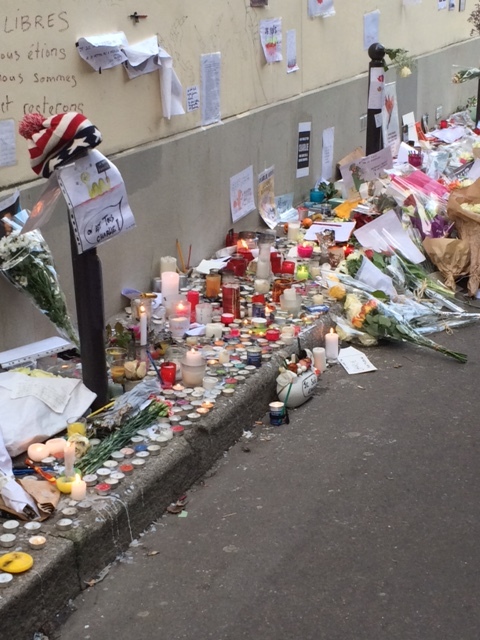 The first is a new take on Je suis Charlie, Boston est la France. 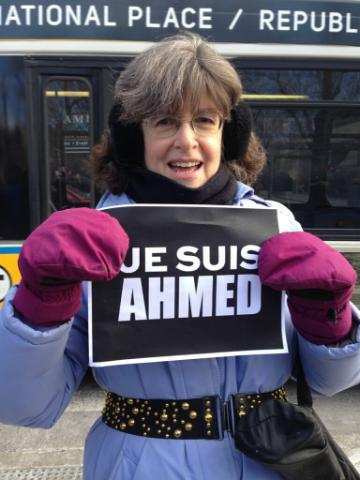 The second is specifically for Ahmed Merabet, the Muslim police officer killed while defending freedom of expression on the street in front of the Charlie-Hebdo headquarters. This entry was posted in Cultural Perspectives, French culture, News from France and tagged Ahmed, Boston, Charlie-Hebdo, march, rally. Bookmark the permalink.